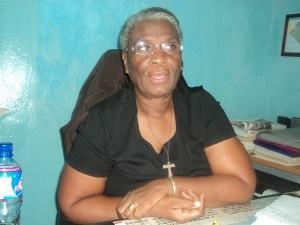 This week our personality profile of the week, goes to one of Liberia’s renowned educators, Sister Mary Laurene Browne, OSF, President of the Catholic run Stella Maris Polytechnique in Monrovia. Born on February 26, 1944, in Gadetarbo Chiefdom, Maryland County, Little Mary, as she used to be called by her parents who predeceased her, first attended the African Methodist Episcopal (AME) Parish Day School. ‘Sister Laurene’ as she is affectionately call has contributed immensely to the education of hundreds of Liberians both at home and abroad is always regarded by many as a woman of virtues amongst her many peers in Liberia. Her instrumentality and brains of the establishment of several academic institutions to mode the minds of Liberia’s younger generation has been graded commended by Liberians who believes in her passion of molding minds of Liberia’s future leaders in their quest to grab sound education. Many Liberians who spoke to our staff during this week’s survey on our ‘Personality of the week’ further described this renowned Catholic Sister as a woman whose work among Liberians has no border; meaning she finds pleasure interacting with anyone who comes her way with a glaring smile. 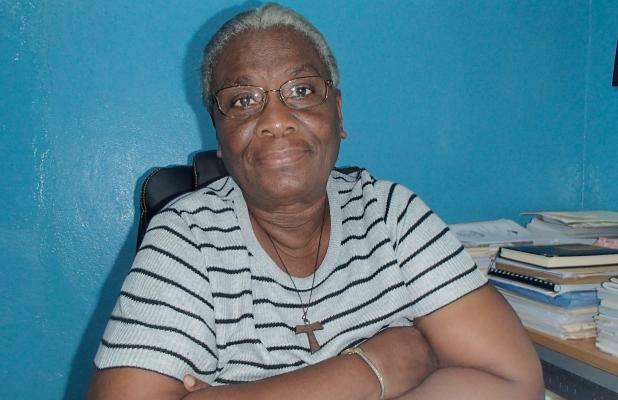 Despite her busy schedule on her University (the Stella Maris Polytechnic) Sister Mary Laurene Brown always found time to tutor her youthful generation via local radio stations on her program that highlights on how to speak good English. 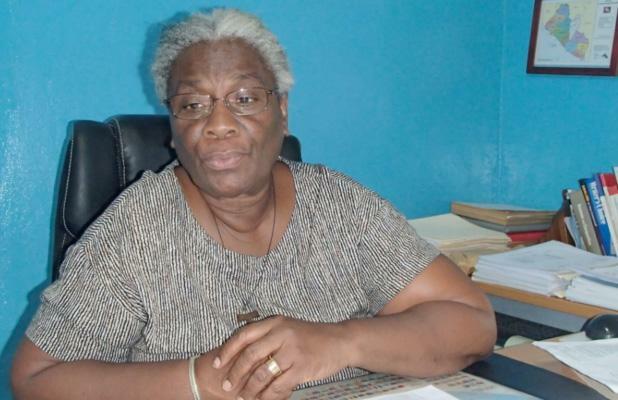 Her strive to give birth to one of Liberia’s most respectable universities, the Stella Maris Polytechnic came to fruition when she helped in 1998 to establish situated on Capitol Hill, the school has approximately 2,000 students. The school is recognized by Liberia’s National Commission on Higher Education as an approved baccalaureate granting school of higher learning, and also is a member of the Association of African Universities. Sister Mary Laurene Brown brainchild (The SMP) history can also be traced back to the Arthur Barclay Vocational Institute that had its roots in a donation of land to the church in 1972. Eventually the planned school was renamed as the Arthur Barclay Technical Institute and first held classes in February 1979. Catholic leaders then considered starting a Catholic college beginning in 1985, which eventually led to the establishment of Don Bosco Polytechnic. That school included Arthur Barclay Technical Institute which then became the Arthur Barclay Technical Institute. The larger institution was chartered by the Liberian Legislature on August 15, 1988, due to the Liberian civil war; Don Bosco did not begin operating until 1993 when the Mother Patern College of Health Sciences opened. Then in January 1997 the school’s board resolved to open the larger institution, which occurred in November of that year. Don Bosco Polytechnic was then renamed as Stella Maris Polytechnic in 2005. In May 2007, Ireland’s troops serving as part of the United Nations Mission in Liberia donated 21 computers as well as a large container of books to the SMP. As of 2009, the school had 2,090 students enrolled. Of those, 1,324 were men and 766 were women. In May 2010, the school’s debate team won IBI International’s inter-collegiate debate competition for Liberia. SMP beat out a total of six other schools, including African Methodist Episcopal Zion University in the final round. In May 2011, SMP students prevented classes from being held in protest of a proposed tuition hike from USD $5 to $7 per credit, as well as a proposed exit examination that would be required to graduate. The success of this institution is a result of our Personality of the week passion for education. Join us next week for another personality of the week. We will appreciate if anyone who could help to give us a profile of that individual who over the years contributed immensely to the growth and development of our beloved country, Liberia.